A couple months ago, on Instagram I saw a post about a new subscription box that was in the works for seamstresses. 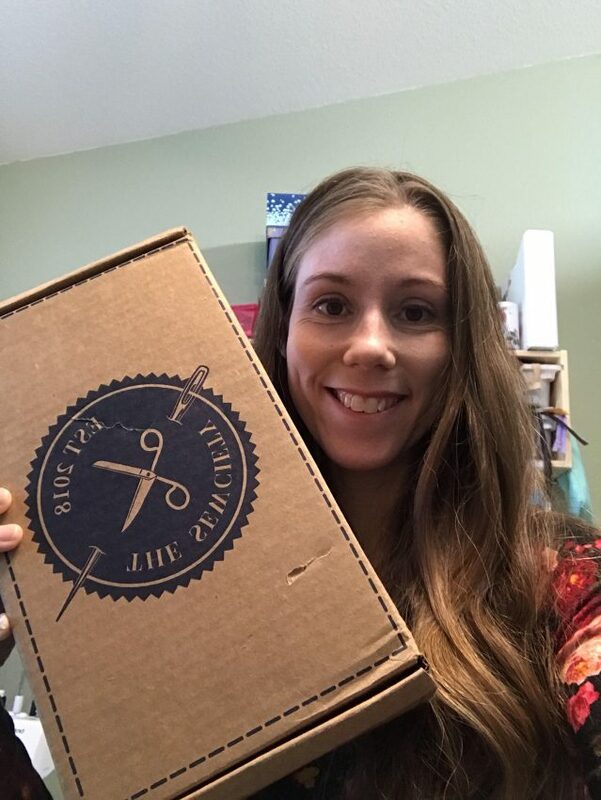 Having previously been subscribed to the BeeBox (from another company, which sadly had to close), I was immediately intrigued- I love the anticipation ,challenge and motivation that mystery sewing boxes provide, and the new Sewciety box looked especially interesting. I signed on, and awaited my box, which was due to come in November. Unfortunately, given the events of the last month, its taken me longer than I’d like to get some of the contents sewn up, but now that I have, I’m excited to share them with you! The first thing I noticed about my box was how professionally it was packaged- from the logo on the front to the tissue wrapped contents, it felt like opening an early Christmas gift! Check out the quick little video I took exploring the contents, or check out the list below! I especially liked that this box contained items for both knit and woven projects- I’m still a beginner when it comes to working with wovens, especially when it comes to non-garment related sewing, and I welcomed the opportunity to make something I wouldn’t have ordinarily have chosen. 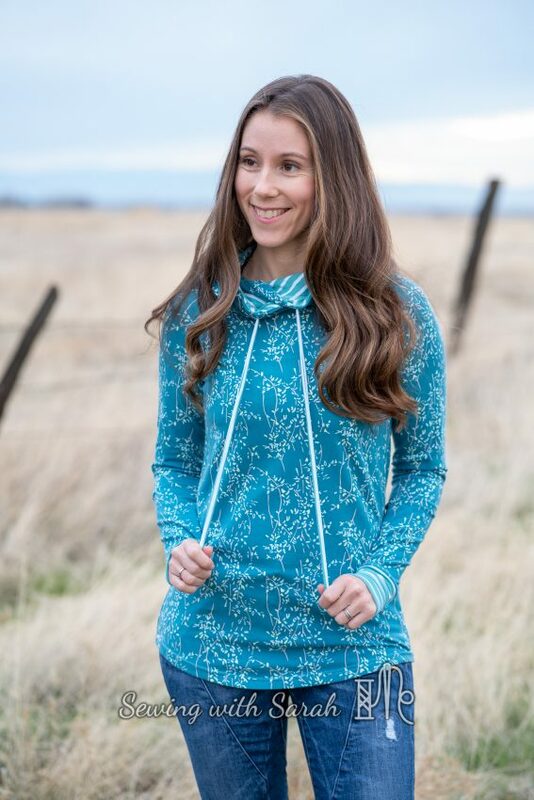 I couldn’t resist diving into the art gallery knit, so the first thing I made was a Slim Fit Raglan hoodie (with the crossover hood) from Patterns for Pirates. I did an extensive 2 part series reviewing a number of raglan patterns last year (see part 1 here, and part 2 here), and the SFR is still a favorite. 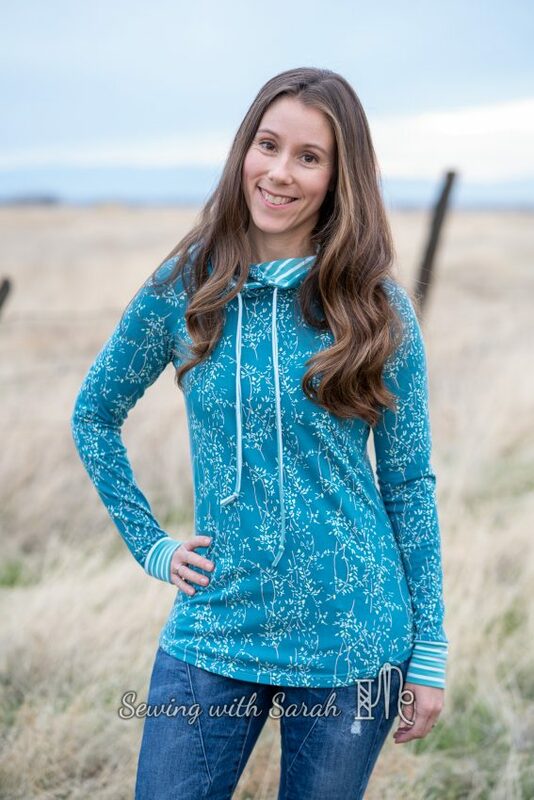 I lined the hood and made the cuffs with a rayon spandex knit from my stash- I had planned on using it for a basic tee, but the color matched the art gallery fabric so well, I just had to use it. I even took the time to make a matching drawstring ( a rarity from me- I usually cheat with twill tape). I also made Little Miss 2 a matching raglan (from the Brindille and Twig Pattern), but she was unavailable at the time of our photo shoot (you know how busy 2 year olds are nowadays), so you’ll have to wait until she can squeeze some modeling into her schedule! 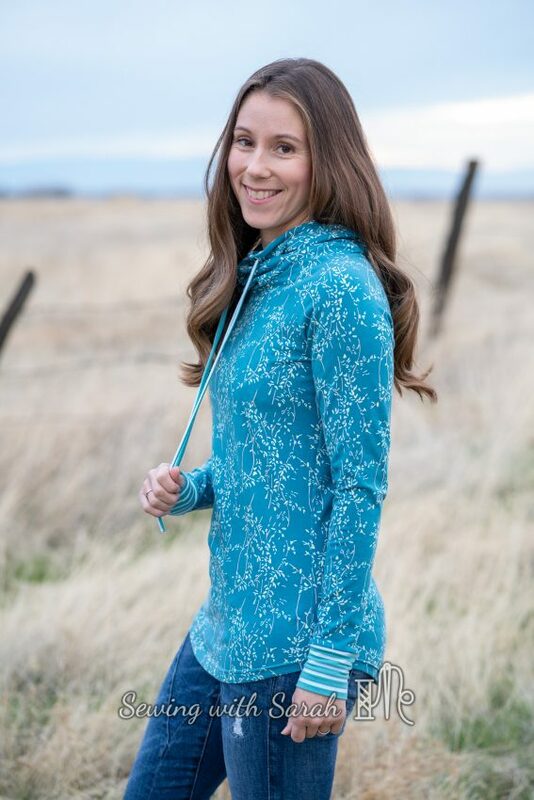 I filed away the included Sinclair Pattern (the Jemma)- I really like the look of it, but I have already made a similar pattern from the DIBY Club, and was looking for a quicker project this time around. 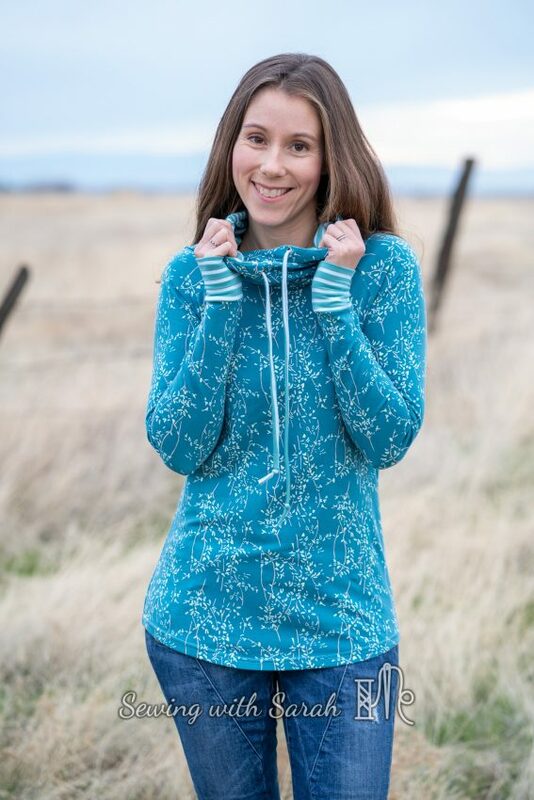 With my bonus coupon code, I downloaded the Sinclair Sydney Cardigan- this one does fill a gap in my closet, as I’ve been looking for a dolman cardigan without an upper sleeve seam for ages (that upper seam just drives me nuts!). I’m hoping to get to the potholder project soon- it would make such a cute Christmas gift! Absolutely! I think there’s quite a bit of value for your money here, and as someone who usually pours over her fabric purchases for hours or days, I really like the element of surprise. Note: I received this box free of charge in exchange for my honest review- but I don’t make any money if you decide to subscribe, I just really like it! There are however, other affiliate links to patterns in this post- and I always appreciate your support in keeping up this blog! I also get warm fuzzies when you subscribe to my YouTube Channel, or my blog!